We’ve all been there, that quick pick up ruined by London’s one-way systems. Starting today, we’re introducing a new, improved way to POOL to solve just that problem – cutting down on detours to save you time. Enter your destination and request uberPOOL. When you request a ride between 6am and 9pm, we’ll direct you to a smart pickup point to meet your driver. 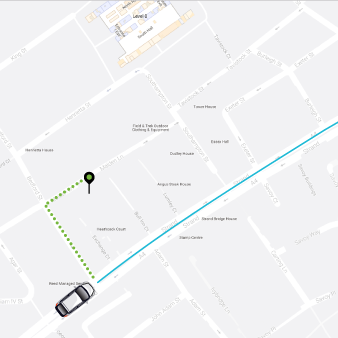 Walk to your smart pickup point: we’ve timed it so you and your driver should arrive there at the same time. Better for drivers: The new uberPOOL means drivers have speedier pick ups and spend less time on detours trying to pick up their next passenger. With uberPOOL there’s also less waiting time between paying trips for drivers. Better for cities: Our mission is to get more people into fewer cars. The more people share their Uber journey and leave their own cars at home, the more mileage and emissions we can save. uberPOOL has now been chosen more than 2 million times in London and shared journeys have saved more than 1.3 million miles being driven and 231 metric tonnes of CO2. 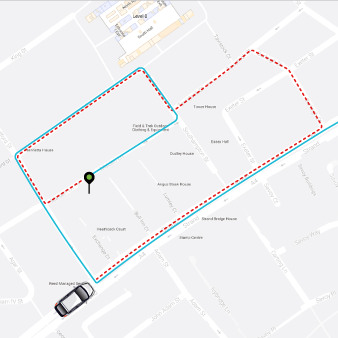 Valid on uberPOOL trips starting and ending in the uberPOOL service area, taken between 6am – 9pm, from Tuesday 4th October until Monday 31st October. Promotion code must be applied before the ride is taken and will be valid for the duration of the promotion period, subject to availability of uberPOOL partners. The code must not be transferred, duplicated or sold and there is no cash value. Discount not applicable to additional fees, such as cancellation and no show fees. Terms subject to change without notice, at Uber’s discretion. For general uberPOOL details and terms click here. London, who’s hungry? Introducing UberEATS! UberEATS is our new food delivery platform. Order food with UberEATS from your favourite local London restaurants as easy as requesting a ride.